A turnkey solution for applying highly viscous lubricants up to 800 cps, the lube is atomized with air into an ultra-fine spray at the nozzle. The nozzles are air-controlled and each injector can be controlled independently. 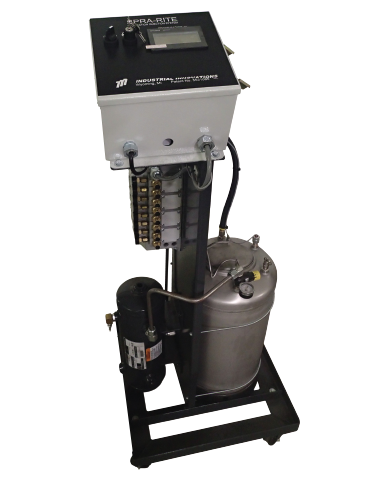 The Ultra Lube system includes an injector manifold, Beta controls, tank, nozzles and tubing.